Hanoi (VNA) – Storm Bebinca is heading to coastline from northern Hai Phong city to north central Nghe An province at a speed of about 15km per hour, and is forecast to land over the next 24-48 hours. 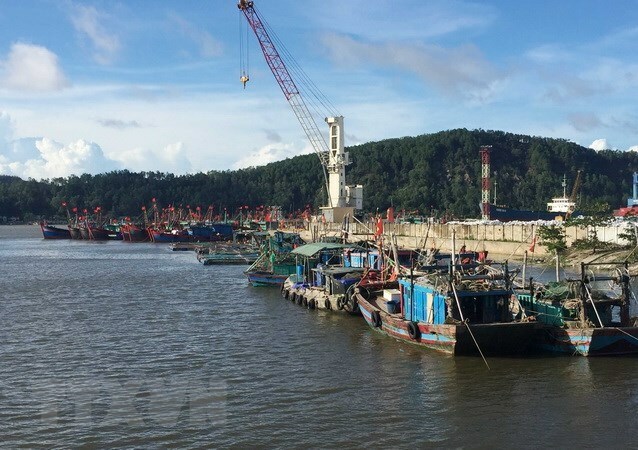 According to the National Centre for Hydro-Meteorological Forecasting at 4pm on August 15, the storm – the fourth to hit Vietnam so far this year – was 350km away from the Mong Cai city of Quang Ninh province, 500km from Thai Binh, and 630km from Vinh city of Nghe An province. In the next 24 hours, the storm will move west-southwest, boasting winds of about 10km per hour. After landing in Vietnam, the storm is forecast to weaken into a low pressure. The storm will affect the northern region of the East Sea, bringing strong winds and large waves. During August 15 evening and August 16, the northwestern region and Hanoi will suffer from heavy rain and thunderstorms. As part of efforts to prepare for the storm, Minister of Agriculture and Rural Development Nguyen Xuan Cuong – who is also head of the Central Steering Committee on Natural Disaster Prevention and Control – asked for the formation of three working teams to direct Quang Ninh, Hai Phong, Nam Dinh, Thai Binh, and Thanh Hoa. The teams will inspect the localities’ dyke systems along rivers, responding to concerns of flooding on August 16.